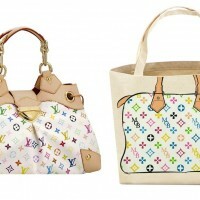 For some time, this blog has been following a lawsuit by luxury goods brand Louis Vuitton; the defendant is the maker of canvas totebags embellished with cartoon drawings of high-end handbags, including Louis Vuitton, accompanied by the text “My Other Bag….”. A district court dismissed the company’s copyright and trademark claims back in 2016 on grounds that the alleged infringer’s use of Louis Vuitton’s distinctive logo was fair use; in 2017, the Second Circuit affirmed that ruling. Louis Vuitton pressed on, seeking a rehearing by the Second Circuit en banc, which was denied, and petitioning the Supreme Court for a writ of certiorari, also denied. See Docket No. 16-241 (2d Cir.). Having finally prevailed, the defendant, My Other Bag, Inc. (“MOB”), filed a motion back in district court seeking its attorneys’ fees and costs, under sections of the federal trademark and copyright statutes that allow for such an award. The district court, however, declined to award fees and costs. See Docket No. 14-cv-03419 (S.D.N.Y.). This case reminds us that, even when it comes to parodies, fair use litigation is rarely a cut-and-dried slam-dunk. It’s true that a court may, on occasion, dispose of a case on fair use grounds at the motion to dismiss stage—we saw this in one recent court decision holding that a parody of a classic children’s book was fair use (for more details, see our blog post on that case here). But often, courts are reluctant to resolve fair use questions without the benefit of discovery, meaning that litigants in fair use cases may be in for a lengthy and costly court battle before the matter is resolved (as an example, see our recent post about a case involving Richard Prince works). And even when a use is clearly a parody, there is no outright “presumption” in favor of fair use for parodies; courts must still analyze the use with regard to the factors laid out in the Copyright Act, and where a litigant can make colorable arguments, the counterparty may still need to defend itself—sometimes at considerable expense—and may not be able to recover its costs and attorneys’ fees even if it emerges victorious. Thus, the economics of litigating or settling copyright claims can add a complicating dynamic to the already complex doctrine of fair use.